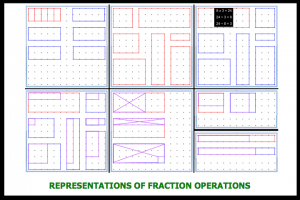 Fractions work includes files for�Tangrams. Great fun folding to make the 7 shapes following screens here. Find the area of each shape (proving it) as a fraction: original square has area 1 unit. Then make silhouette shapes from all 7 pieces without overlap. 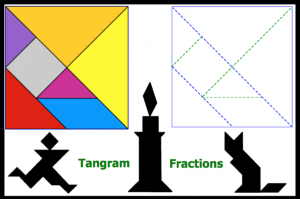 More information about Tangrams can be found here�including historical information. 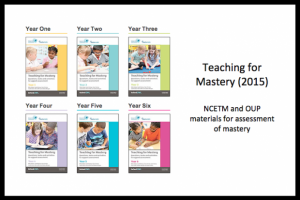 These booklets are for KS1 and KS2 and contain material for assessment of mastery. This file only includes all the fraction elements (as well as address for all the booklets). Useful to see what is expected in year 6. GeoDraw - Jamtec (Stoke) Ltd, any Geoboard, real or virtual, or dotty paper can be used to support the understanding of combining fractions.